Shri Kuppalli Sitaramayya Sudarshan, also popularly known as 'Sudarshan Ji', was the fifth Sarsanghachalak of Rashtriya Swayamsevak Sangh (RSS) from 2000 to 2009. Shri Sudarshan was born in Raipur (now in Chhattisgarh) in a Sanketi Brahmin family. He did his Bachelor of Engineering in Telecommunications (honours) from Jabalpur Engineering College (formerly named as Government Engineering College) in Jabalpur. He was only nine years old when he first attended an RSS Shakha. He was appointed as a Pracharak in 1954. His first posting as a pracharak was in Raigarh district of Madhya Pradesh (Now Chhattisgarh). In 1964, he was made the prant pracharak of Madhya Bharat at a fairly young age. In 1969, he was appointed convener of the All-India Organisations' Heads. This was followed by a stint in the North-East (1977) and then, he was made RSS Akhil Bharatiya Boudhik Pramukh two years later. In 1990, he was appointed Sah-sarkaryavah (joint general secretary) of the Sangh. He has the rare distinction of having held both posts of sharirik (physical exercises) and bauddhik (intellectual) pramukh (chief) on different occasions. In January 2009, acknowledging his lifelong selfless social service and his vast contribution in nation building; Shobhit University, Meerut, Uttar Pradesh, conferred upon him Honorary Doctor of Arts (Honoris Causa). 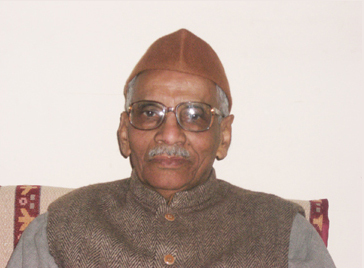 Sudarshan became Sarsanghachalak (Supreme chief) of the RSS on 10 March 2000. He succeeded Rajendra Singh, who stepped down on health grounds. In his acceptance speech, Shri Sudarshan recalled how he was hand-picked to head the Madhya Bharat region. He said though initially he was hesitant to take up the responsibility, the then RSS Sarsanghachalak Golwalkar helped him to make up his mind. "I was able to discharge my duties because people senior to me fully co-operated with me," he said. He stepped down as Sarsanghachalak on 21 March 2009, due to poor health. He died at the age of 81 in Raipur on 15 September 2012. 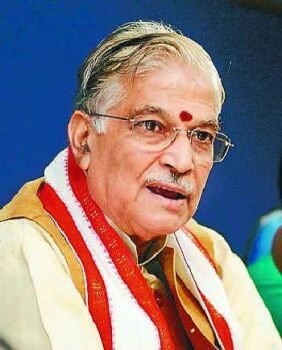 Murli Manohar Joshi (born 1934) is an Indian politician, a veteran leader of the Bharatiya Janata Party (BJP) of which he was the President between 1991 and 1993, and the current Member of Parliament for Kanpur. He later became the Union Human Resources Development minister in the National Democratic Alliance government. He is best known for his views on Hindu socio-politics. He had also been an RSS pracharak. Joshi was awarded Padma Vibhushan, the second-highest civilian award, in 2017 by the Government of India. Joshi ji was born on 5 January 1934, hailing from the Kumaon Hills region of Nainital northern India which today form a part of the state of Uttarakhand. Joshi had his early education in Chandpur, District Bijnore and Almora (currently part of Uttarakhand). He completed his B.Sc. from Meerut College and M.Sc. from Allahabad University. Here one of his teachers was Professor Rajendra Singh, who later became the RSS Sarsanghchalak. He did his doctorate from Allahabad University. The subject of his doctoral thesis was spectroscopy. He published a research paper in Physics in Hindi, which was a first of its kind. After completing his PhD, Joshi started teaching Physics at Allahabad University. 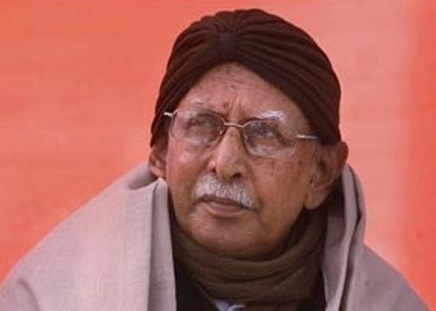 Joshi came in contact with the RSS in Delhi at a young age and took part in the Cow Protection Movement in 1953–54, in the Kumbh Kisan Andolan of UP in 1955, demanding halving of land revenue assessment. During the Emergency period (1975–1977) in India, Joshi was in jail from 26 June 1975 until the Lok Sabha elections in 1977. He was elected Member of Parliament from Almora. When the Janata Party (which then included his party) came to power forming the first non-Congress government in Indian history, Joshi was elected General Secretary of the Janata Parliamentary Party. After the fall of the government, his party came out of Janata Party in 1980, and formed the Bharatiya Janata Party or the BJP. Joshi ji first looked after the Central Office as a General Secretary and later became Party Treasurer. As General Secretary of BJP, he was directly in charge of Bihar, Bengal and North-Eastern States. Later, when BJP formed a government in India under Atal Bihari Vajpayee, Joshi ji served as the Human Resource Development Minister in the cabinet. Joshi ji is known to have been influenced by the life and work of Veer Savarkar, Golwalkar and Deendayal Upadhyaya. Joshi was a three-term M.P. from Allahabad before he was defeated in the Lok Sabha elections of May, 2004. He won election to the 15th Lok Sabha from Varanasi as a BJP candidate. He also served as the home minister for 13 days government in 1996. Joshi ji was appointed as Chairman of the Manifesto Preparation Board of the BJP in 2009. He was honored as "Proud Past Alumni" of Allahabad University by Allahabad University Alumni Association. P. Parameshwaran (often referred to as Parameswarji) is a Hindutva thinker, writer and an orator. He is the director of Bharatiya Vichara Kendra and the president of Vivekananda Kendra, Kanyakumari. He is also one of the founder members of the International Forum for India's Heritage (IFIH). He is considered as the senior-most Rashtriya Swayamsevak Sangh pracharak and ideologue in Kerala. 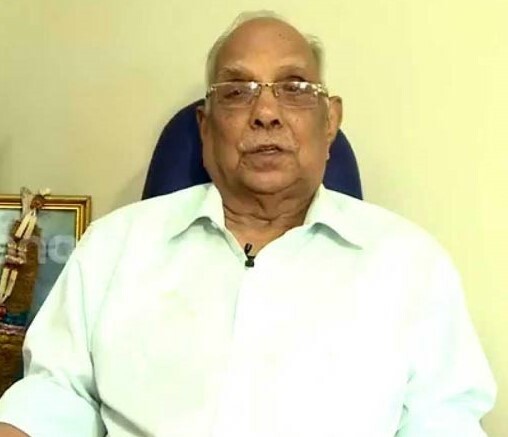 Born at Cherthala village in Alappuzha district in the year 1927, Parameswaran after his schooling at his birthplace, continued his studies at SB College Changanassery and graduated from University College, Thiruvananthapuram with distinctions in BA (Hons.) in History. From early childhood, he had a great inclination towards the study of Hinduism. He was intimately connected with most of the Hindu social and cultural organisations. He came into contact with the Rashtriya Swayamsevak Sangh during his student days. He was also a disciple of Swami Agamananda. Parameshwaran became an RSS pracharak in 1950, as per the direction of M.S. Golwalkar (Guruji), who was the Sarsanghchalak of RSS. He served as organising secretary of Bharatiya Jana Sangh in 1957. In 1968, he became and national general secretary and later vice‑president of the Jan Sangh. He was jailed during the Emergency (1975-1977). In 1977, Parameswaran moved from politics to the sphere of social thought and development. He worked as director based in New Delhi for Deendayal Research Institute, an organisation started by Nanaji Deshmukh, for four years. In 1982, he came back to Kerala and gave shape to a new organisation; Bharatiya Vichara Kendra aimed at national reconstruction through study and research. It has its headquarters in Thiruvananthapuram and has units all over the state. Shri Parameswaran is the patron of Geetha Swadhyaya Samithi, which promotes the ideology of Bhagawad Geetha amongst youth. He took initiation from Ramakrishna Mission and was a close associate and disciple of Swami Agamananda social reformer and founder of Advaita Ashrama at Kalady, the birthplace of Adi Shankara. He has written articles and books on social, cultural and religious themes. He has delivered lectures all over the country on national issues. He participated in the Centenary celebrations of Swami Vivekananda's address at the World Parliament of Religions held at Chicago in . In 1998, as an answer to the rising crime rate, delinquency and other social evils in Kerala, Sri. Parameshwaran proposed observation of a 'Gita decade'. Popularising the Bhagavad Gita as a comprehensive life science was his solution to the social problems of Kerala and the whole of India. The recently conducted two‑day Gita Sangamam at Thrissur attracted around two thousand youths from all over Kerala. Eminent personalities like Padma Subrahmanyam, Justice Sukumaran etc. attended the function, which was formally inaugurated by Ananth Kumar, Union Minister for Culture, Youth Affairs and Sports. The programme of conducting one Gita Shibir in each panchayat of Kerala is on. The International Seminar 'Bhagavad-Gita Gita and Modern problems' held at Thiruvananthapuram from 7 to 4 December 2000, in which 1500 youths, scholars and saints from all over India and abroad including Murli Manohar Joshi, Union HRD Minister and the Dalai Lama participated, was a high-water mark of the Gita Movement organized by the Gita Swadhaya Samithi under the guidance of P. Parameswaran. Parameshwaran was awarded the Hanuman Prasad Poddar Award instituted by Bada Bazar Library of Kolkata Calcutta in 1997, in recognition of his effort in teaching the lofty principles of Hinduism to the common man. Parameshwaran has won many awards and recognitions. He was appointed as the member of the Court (Senate) of Jawaharlal Nehru University, New Delhi in 2000. Awarded with Amritha Keerti Puraskar by Sri Mata Amritanandamayi Math on 26 September 2002, for outstanding service to the society. In 2004, the President of India awarded him the Padma Shri in recognition of his valuable contributions to the society. He has authored many books in Malayalam and English. P. Parameshwaran has authored several books on Indian philosophy and society. He was the editor of the magazines ‑ 'Kesari' and 'Manthan'. Currently he is the editor of the monthly 'Yuva Bharathi' and the quarterly 'Vivekananda Kendra Patrilka'. Hehas written books on Sri Aurobindo, Marx and Vivekananda, Chhatrapati Shivaji, and Swami Vivekananda's teachings. He also keeps his close association with Sri Ramakrishna Math and Advaita Ashram, Kalady. Sri. Parameshwaran has authored several books on Indian philosophy and society. He was the editor of journals‑ 'Kesari' and 'Manthan'. Currently he is the editor of the monthly 'Yuva Bharathy' and the quarterly Vivekananda Kendra Patrilka and Chief Editor of 'Pragati' Quarterly Research Journal. Books by him include: Sri Narayana Guru the Prophet of Renaissance, Sri Aravindan Bhaviyude Darsanikan. Vishwa Vijayi Vivekanandan. Marx and Vivekananda, From Marx to Maharshi, Bhagavad Gita - Vision of a New World Order, Beyond All Isms to Humanism, Heart Beats of a Hindu Nation (Compilation of selected editorials in Yuva Bharathy), Bhagavad-Gita The Nectar of Immortality (Collection of Essays on Gita), Hindutva Ideology - Unique and Universal, and many more. A Historian, Thinker, Journalist, Writer and Social worker, Sh. Devendra Swarup is a multifaceted person. A person of acclaim, he has declined to accept any decoration or award bestowed on him for his contribution because he considers it as service to the nation and the society. He is presently living a simple life with his family in Delhi. Devndra Swarup, Born in 1926 in small town of Kanth in Moradbad District of present Uttar Pradesh , a born nationalist, participated in Indian Freedom movement from his school days. Twice in his schooling days he had to face the wrath of School management for Leading his schoolmates into Satyagrahs. Always a brilliant student, he got admission in Banaras Hindu University as a Science student. From his college days he got associated with RSS and got motivated by Natioanlist thinking and working of RSS. With the mission of serving the Nation, immediately after completing his graduation, he became a whole time worker (Pracharak) of RSS and continued to serve the nation for 14 years. During his Pracharak days, he developed interest in History and shaping of his though process started. After returning from Pracharakship, he re-started his education and got enrolled as a student of history. He completed his MA History (1st class First) from Lucknow University in 1961. An avid reader and a passionate book collector, he built a personal collection of book of over 14000 books over a period of 65 years. Devendra Swarup's journey in Jornalism started in 1948 from a Hindi magazine Chetna published from Banaras as an associate of its Editor Sh. Atal Bihari Vajpayee. Devendra Swarup started writing articles and columns for various megazines and periodicals since then and his pen continue to write till date. So far he has over 1900 published articles to his credit on subjects as varied as Education to History, Politics to International affairs. 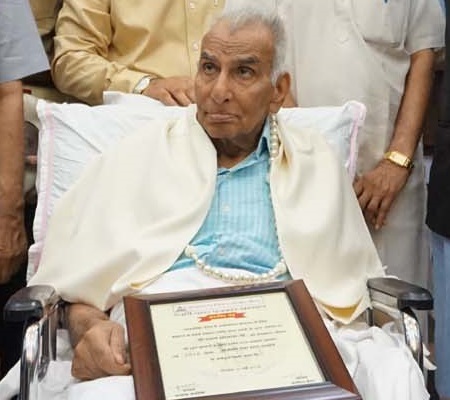 During his 68 years long social life, he edited a research journal Mathan. He was the Director of the project named 'Documentation on British Census Policy'. Shyam Khosla is a prominent journalist. He has worked with various prominent news papers including The Tribune. He was a regular Staff Correspondent with The Tribune.